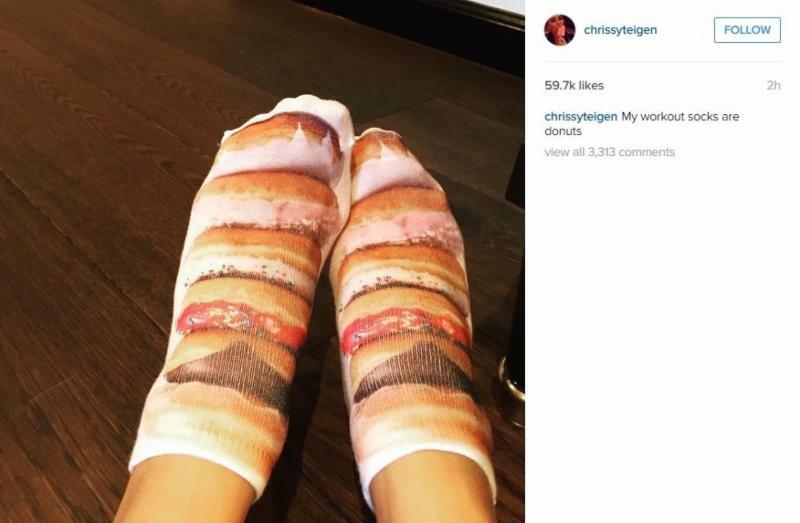 Chrissy Teigen shared a photo wearing Living Royal socks earlier today! The model accessorized her workout outfit with the Stacked Donut Ankle Socks ($8). Living Royal is a Chicago-based fashion and accessory brand with a collection of quirky graphic socks, beanies, gloves and much more! See more socks from Living Royal. Thank you for taking the time to read our graphic hosiery blog post. 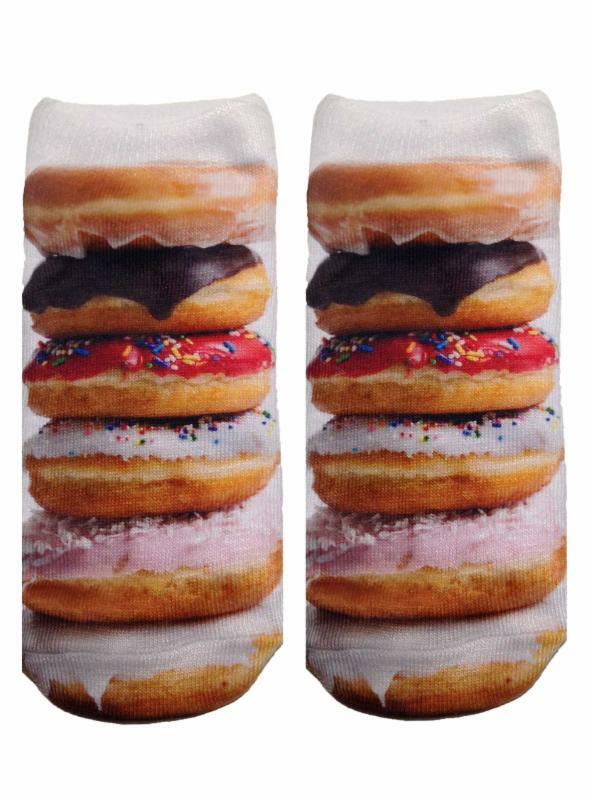 If you have comments or questions about these delicious socks, please add your thoughts in the discussion area below.